When it comes to fast service, quality work, and fair prices, we’re tough to beat. While we’re one of the largest electrical contractors in the area, we’ve got just the team of electricians that are only a phone call away to make quick home electrical repairs and restore power or lighting. No trip charge! In an emergency, same day service is usually available! 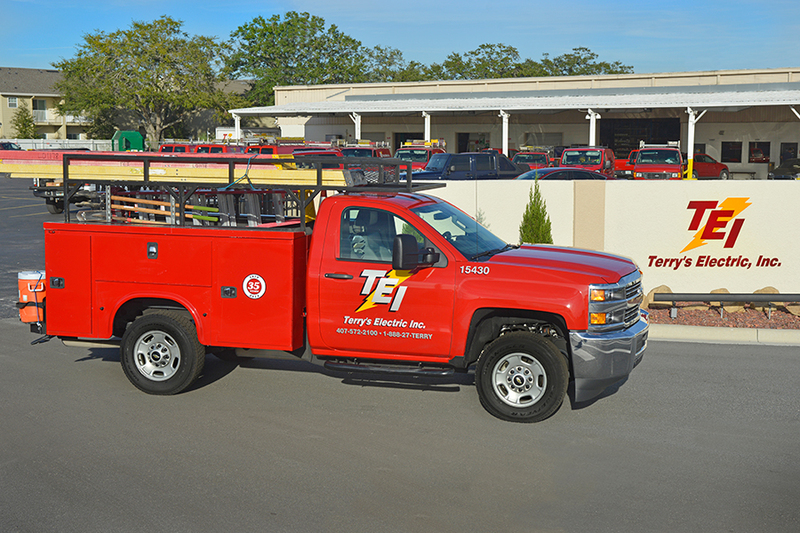 Our service department operates a fleet of equipped utility trucks and vans available 24 hours a day, seven days a week. Our technicians use cell phones and GPS equipment to provide the best and quickest available service to our customers. The Service department is available for a multitude of purposes, including: the return of necessary power within a structure or residence, preventive maintenance, repair assistance, renovations/relocations, code issues, smoke detectors, and other life safety devices, along with troubleshooting. Wire your home or business with comfort and productivity in mind. Need a service quote? Contact us at 407-572-2100 or email us at service@terryselectric.com.